Racks and Boxes There are 2 products. 5 units. 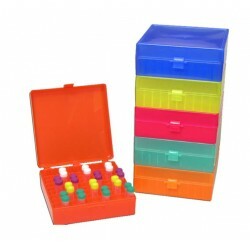 Racks and Storage box. 1 unit. 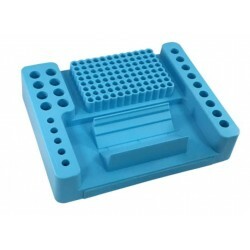 Cool Station for PCR. Maintains 0-1.0°C for 5 hours. Keeps samples cool, but not frozen. Accomodates several different vessel types.